Mayor Pro Tem Marty Simonoff is currently serving his sixth term on the Brea City Council. He was first elected in November 1996. Marty was re-elected in 2000, 2004, 2008, 2012 and 2016. He has served as Mayor four times, in 1999, 2002, 2007 and 2015. Mayor Pro Tem Simonoff’s professional experience includes a career in law enforcement. He retired in 1991 as a police captain with the City of Huntington Park. Mayor Pro Tem Simonoff holds a Bachelor of Arts degree in political science from Whittier College, California. Though Mayor Pro Tem Simonoff is retired from public safety, he has maintained a strong interest in all aspects of public safety. He is beginning his 20th year as a member of the National League of Cities' Public Safety and Crime Prevention Policy and Steering Committee, having served as its chair in 2006. 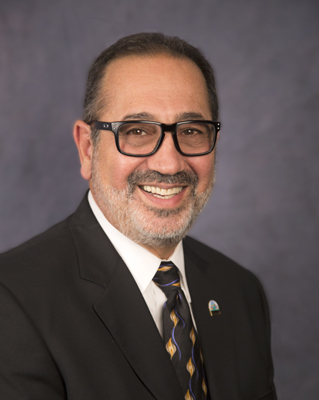 He is also a 19-year member of the State League of California Cities' Public Safety and Crime Prevention Policy Committee and Steering Committee, having served two terms as chair. Mayor Pro Tem Simonoff is a past member of the League of California Cities Board of Directors, and served on the board from 2004-2010. He is also a past president of the Orange County Division of the League of California Cities. A Brea resident since 1981, Mayor Pro Tem Simonoff has an extensive background of community service. He is a member of the Brea Lions Club, the Brea Historical Society, and the Brea Chamber of Commerce. He also serves on Brea's Country Fair Steering Committee. He has been active in youth sports, serving as a Little League coach, and as a past board member for the Brea Olinda High School Football Booster Club. Additionally, Mayor Pro Tem Simonoff can be found volunteering for non-profit organizations and service clubs that call on him for help.